"Airhead Extends Principle to Abdomen"
(22 September 1999, Scotland) A Scottish follower of Breatharianism demonstrated a comprehensive misunderstanding of biology during her recent attempt to "Live with Light" in the Scottish Highlands. Verity, 48, was adhering to a 21-day spiritual cleansing course, wherein followers of Breatharianism eschew all food and drink for seven days. They continue to abstain, fourteen more days, from all but sips of water. During Verity's brief stay in the Scottish Highlands, she endeavor to master the art of "pranic feeding," surviving on inhaled carbon, nitrogen, and oxygen. Guru Jasmuheen, an Australian formerly known as Ellen Greve, boasts 5000 followers worldwide, though she does not disclose whether they are always the same followers. She points out that 'breatharianism' is the perfect cure for anorexia, and world hunger, as adherents need never eat nor drink again. Anorexia sufferers, and hunger victims, have already attempted this course of action, with known results. Nutritionists say a human can survive without fluid for six days, at most. These research results did not deter Verity, who took to the wilds with only a tent and her grit and determination. She died from hypothermia and dehydration, aggravated by lack of food. Jasmuheen, whose dress size was not disclosed, claims to have survived on "liquid air" since 1993, although she does allow herself cups of herbal tea and chocolate biscuits. The founder of the cult said that Verity's death was not due to physical need for food. Rather, it was a failure to satisfy spiritual needs brought about by a battle with her own ego. Is this one so bad? How can 3635 of you give it 5.7? I say it's a 10! Who's with me? "There are so many benefits to being free from the addiction of food." 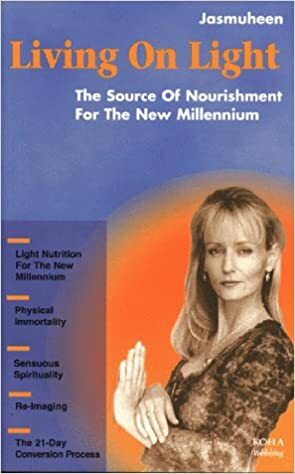 "The source of nourishment for the new millenium." Hah! The book blurb says all you need to know about Guru Ellen Greve. "The Australian author Jasmuheen has not eaten any food for 5 years. Breatharians get nourished from the Universal Life Force. This book describes a special 21-day process to convert the body." Then some publicist jazzed up the description, and the sequel was suddenly a self-help book. 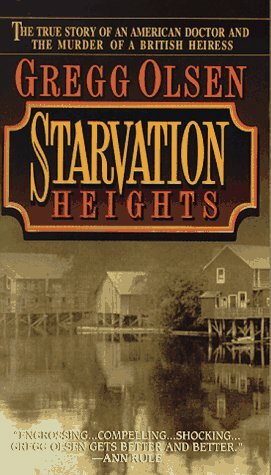 "A manual for personal self empowerment and self mastery, filled with channeled guidance from Jasmuheen and the Ascended Ones"
I liked Starvation Heights, the true story of two heiresses and the woman who duped them into fasting for 54 days. One sister, skeletally thin even months after her release, survived to prosecute the murderess who professed a staunch belief in her own innocence. She went on to kill other victims after her release from jail, all the while maintaining that the "traditional medical establishment" wanted to discredit a woman. Astounding story, a few of the descriptions were squeamish (they were so thin their lips wouldn't close) and there are a few repetitious sections, but overall a well-deserved thumbs up. Tim Green has an objection! "The Breatharianism story is against the spirit of Darwin Awards While I reluctantly admit that the Scottish dimwit in the story is indeed deserving of a Darwin on merit, the Award highlights the mind-numbing stupidity of the living human being who gave her the idea. I don't think it's a good idea to let Darwin readers know about living idiots, since it undermines the underlying theory of the awards! Having had a brief look at her book from your link, her stupidity knows no limit, yet she is still alive. Discuss!"